Whether you’re planning a quiet getaway for two, or a massive annual golf weekend for the entire gang, Australia has myriad possibilities for a successful and enjoyable adventure. This month, we look at the top destinations across this fantastic golfing landscape of ours, evaluate some amazing Aussie courses, and check out some great tour operators. So whether you’re headed North, South East or West, we’ll have you covered! So let’s jump right in and look at a few of the great courses on offer! Tourists flock to Noosa for its famous beaches, pristine National Park, cosmopolitan cafes, trendy bars, swanky restaurants and high end boutiques, but what lures them to Noosa Springs is the prospect of championship golf alongside spring fed lakes in a bushland setting; indulgent day spa treatments; fine dining; superior accommodation and even gentle activities such as nature walks, swimming and yoga – to mention but few of the resort’s recreational offerings. Driving along the heavily tree-lined boulevard to the resort’s impressive porte cochere entrance you will feel a million miles away from the everyday yet you’re only three minutes’ drive to Noosa’s bustling Hastings Street and Main Beach. A world of casual elegance awaits you at the international championship golf course and European-style day spa resort. Designed by leading golf course architect Graham Papworth, the par-72, 6,180 metre championship course was built to international standards with nine lakes and 69 bunkers guarding manicured fairways. Hole five is Noosa Springs’ signature hole, which is loved by many for its beauty, challenge and variety. It’s a shortish par-four, but definitely not for the faint hearted. It offers different options on how to approach it for all handicappers. The biggest hitters could drive across the lake to the green, while for the more modest ball strikers, positioning is crucial to negotiate the almost 90-degree dog-leg. For golfers keen to perfect their game after dark, they can take advantage of Noosa’s only floodlit driving range open until 9pm Wednesday to Saturday. While you’re there don’t forget to visit the superb golf boutique which stocks the very latest in golf and leisure wear from top labels such as Calvin Klein, Daily Sports, EP Pro, Adidas, Nike, Puma and Nuni. Noosa Springs prides itself as a promoter of golfing excellence with many events, golf and tennis clinics and schools hosted throughout the year. Or you can simply make Noosa Springs your home while you enjoy some of the many other major events scheduled for Noosa during the year – The Festival of Surfing, the Food and Wine Festival, Jazz Festival and the iconic Noosa triathlon to name just a few. Noosa Springs is the ideal getaway for families or couples where the only sounds you will awake to are the sounds of nature. Take advantage of some of the website’s special rates for the luxury, open-plan apartments with views over the first fairway or Noosa National Park. The fully self-contained apartments with king size beds can be configured to accommodate twin, triple and quad share and the three bedroom apartments can comfortably house up to six people. The apartments have a separate dining room and full kitchen with conveniences such as waste disposal and dishwasher, giving you the option of self catering for your stay. Noosa Springs really is a destination within a destination – everything you could want for a comfortable, relaxing stay is here waiting for you. After a round of golf, hard hitters can ease the tension of weary muscles in the day spa’s unique HydroMassage pool, the ultra relaxing flotation pool or unwind with a full body massage. Golf ‘widows’ may like to indulge in any number of spa treatments – one of the most popular is the Half Day Spa Escape. Be invigorated by the HydroMassage pool and ‘steam experience’ including infrared sauna and blitz shower. Then it’s your choice of full body massage, tropical enzyme boost facial or sugar scrub. Bliss out afterwards in the relaxation lounge or take a dip in the 25m heated swimming pool. For the fitness conscious, the gym next door to the day spa has state-of-the-art equipment for a pumping cardio or muscle workout. Whatever your activity, the clubhouse balcony is the ultimate vantage point to drink in the spectacular golf course vista at the day’s end and enjoy your favourite beverage. The multi-award-winning Relish restaurant dishes up delicious Mediterranean inspired dishes made from the region’s best fresh produce. While you’re staying at Noosa Springs, why not venture 20 minutes down the road to the world famous Eumundi markets and sample locally designed and made arts, crafts and fashion? The market is on every Wednesday 8am-1.30pm and Saturday 6.30am-2pm. If you’re a keen golfer and you’re planning to stay for a month or longer, why not consider a Resort Membership, which gives you all the advantages of a Noosa Springs golf member. To be eligible, you must rent a two-bedroom apartment (which sleeps up to four people) for a minimum of one month of consecutive nights. You will enjoy: unlimited golf; access to member competitions; free entry to the fitness centre and 25m heated lap pool; discounts on golf shop merchandise. They also offer great value for shorter stays. Whether you’re visiting for one day or staying two weeks, their Vacation Membership offers fantastic savings of at least 20% on championship golf; luxurious spa treatments; tennis; fitness and fine dining. There are plenty of good reasons to stay at Noosa Springs – go and experience affordable luxury and championship golf in one of the best holiday destinations in the world. The Golfer’s Lodge is a set of two fully appointed residences, located on beautiful Bribie Island and within the confines of the award-winning Pacific Harbour Golf and Country Club precinct. Overlooking the finishing green and adjacent to numerous resort style facilities, including 2 x floodlit tennis courts, 25m swimming pool, gym, spa and an aquatic driving range, The Golfer’s Lodge is set to become one of the most sought after golfing destinations in South East Queensland. Each of the newly constructed residences contains 2 master bedrooms (each with an en-suite and spa) and a 3rd bedroom, fully equipped kitchen and living area, modern media room, outdoor alfresco area and a functional laundry. Ideally suited for overnight and/or extended stays, each residence comfortably caters for a group of 4 (i.e. 4 individuals or 2 sets of couples), or a family of 5. The Ross Watson designed Pacific Harbour Golf and Country Club provides a unique, award-winning, “island links” style 18-hole championship course, with eco-friendly sub-tropical style Clubhouse. Ranked as the Best Public Access Golf Course in Queensland for the fourth consecutive year running, it offers all golfers an opportunity to play and experience one of Australia’s most challenging golfing layouts. The Clubhouse, situated 100 metres from The Golfer’s Lodge, provides a relaxing atmosphere coupled with award-winning dining options. This unique golfing paradise and luxury accommodation is located less than 1 hour north east of Brisbane at the northern boundary of Moreton Bay, uniquely nestled between a National Park and a Marine Park. In addition to playing at Pacific Harbour Golf and Country Club, The Golfer’s Lodge offers a number of golfing packages allowing guests the opportunity to play on nearby courses, including the award-winning Bribie Island Golf Club and the challenging North Lakes Resort Golf Club. For those interested in other pursuits, The Golfer’s Lodge offers access to Bribie’s very own Beauty Retreat for the ultimate day spa experience; or simply kick back and enjoy the natural surrounds of Bribie Island. Airport transfers to and from either the Brisbane or Sunshine Coast airports can be arranged, and where necessary, golfing transfers to and from Bribie Island Golf Club and North Lakes Resort Golf Club can be included. 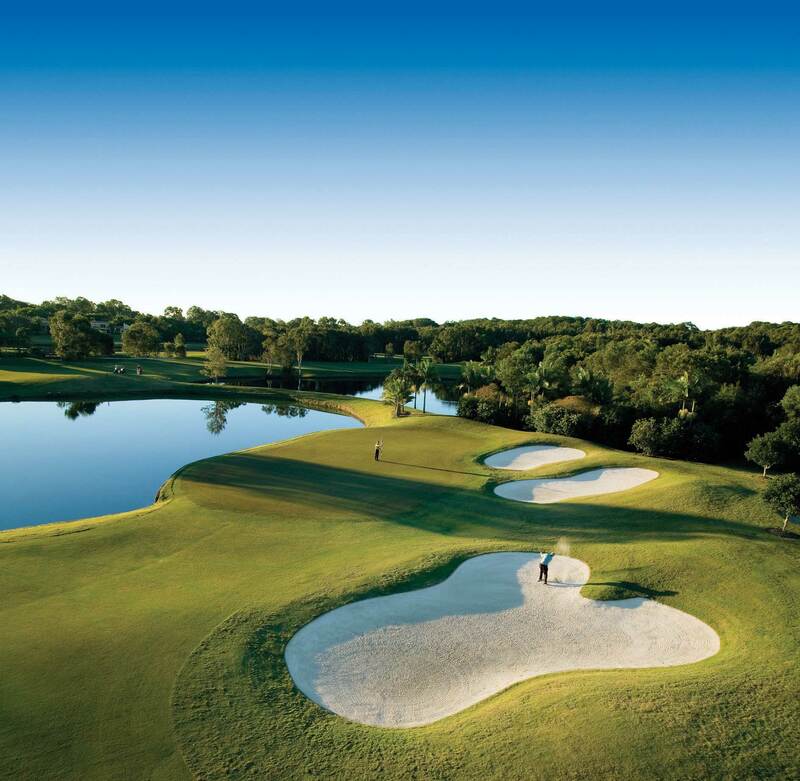 Paradise Palms Resort & Country Club is one of Australia’s most picturesque 18-hole championship golf courses. Situated in Tropical North Queensland, Paradise Palms offers a lot more than meets the eye. Featuring 4½ star resort accommodation, modern clubhouse with Fifty Nine Restaurant & Bar, extensive conference facilities and two acres of adventure playground including an 18-hole mini golf course, Paradise Palms is the ideal place for golfers to escape for a leisurely game or a holiday away with family or friends. Located in Cairns, the world’s leading reef and rainforest destination, Paradise Palms on the Northern Beaches is centrally located to all major tourist attractions including Cairns Tropical Zoo, Hartley’s Crocodile Adventures, Skyrail Rainforest Cableway and all reef departure points. Paradise Palms golf course was designed by Graham Marsh and Ross Watson and first opened in 1990. It is by far the standout course in the area with the highest raking in Australia’s top 100 golf courses. The par-72 course measures 6,592 metres off the championship tees and its AGU rating of 76 is an indication of the scale and challenge that awaits. The beautiful mountains of the Great Dividing Range provide an ideal backdrop to the majority of holes with fairways lined by dense native eucalypts and lush tropical rainforest. With four tee spots, 94 bunkers and six lakes, the picturesque course is complemented by rolling fairways, narrow undulating greens, lush vegetation and an abundance of natural wildlife. With modern golfers seeking a holiday that offers a range of activities for the whole family to enjoy, the attractions of Tropical North Queensland and the Great Barrier Reef are second to none. Smart, contemporary and with spectacular views, RACV Royal Pines Resort is set on 100 hectares between the white sandy beaches of the Gold Coast and the lush beauty of the hinterland rainforests. It’s the Gold Coast’s only 27-hole composite golf course and state-of-the-art driving range. And as host of the Australian Ladies Masters and the new home of the Australian PGA you too can play where the champions play, as the resort and course are open to the public. The resort’s eight restaurants and bars, serving contemporary cuisine from around the world, are high quality and the facilities have proven they can accommodate the PGA and other major events while not taking away from people enjoying weekends away or holidays at the resort. An innovative $10million new day spa is soon to launch in mid-2014. The state-of-the-art One Spa complex has been designed to create an intimate and tranquil environment to provide pampering, and enhance wellbeing. The resort has 331 accommodation rooms, spa suites and executive rooms all with expansive views of the hinterland, tropical pool, Gold Coast skyline or the golf course. Family friendly, the resort has a large pool with slippery slide, an adventure playground with a giant jumping pillow, tennis courts and a range of other activities including a Segway Tour, Ozbobble or Laser Clay Shooting. It’s the perfect excuse to getaway. As one of Australia’s leading golf tour operators, Above Par will take the stress out of organising your next holiday. Privileged access to the finest public and private golf courses on Australia’s Gold Coast and Sunshine Coast ensure that they can satisfy the most discerning of golfers, and with 300+ days of sunshine each year the Gold Coast and Sunshine Coast offer the best year-round golfing destinations in Australia. Hope Island, The Glades, Lakelands, Brookwater, Hyatt Coolum, Noosa Springs, Twin Waters, Sanctuary Cove (Pines and Palms) and Club Pelican Golf clubs all feature in the top 60 public access courses in Australia, and are available to you along with many other highly rated golf courses. Above Par Golf Tours’ buying power at the courses and accommodation venues allow them to pass on significant discounts to all golfers, ensuring you save money as well as having an unforgettable golf experience. The Above Par Golf Tours team has many years’ experience in organising golf, accommodation and transport requirements for thousands of happy golfers. They offer fast, efficient and great value solutions for your next golfing holiday. A recent addition to the company’s services are fully-packaged tours to Queenstown, New Zealand. Located on the South Island, Queenstown is one of the most naturally stunning places in the world and now boasts a selection of resort and club golf courses that are the envy of the country. Add in jet boating, bungee jumping, canyoning and a host of other outdoor activities and a holiday of a lifetime awaits. Above Par Golf Tours will organise all your accommodation, golf and transport needs while in New Zealand. THE idea of a weekend golf-venue getaway to even the most attractive regions about an hour’s drive from Sydney often are viewed by female non-golfer partners as being “a bit boring” no-go outings. Most golf resorts offer little in the way of top-class cafes, fine dining and nearby interesting shopping for upmarket clothes, antiques and knick-knacks. And sometimes the rigours of an all-too challenging costly “championship” golf resort course (both golfwise and physically) is not the relaxing answer for the keen golfer or those just out to tone up their game with social play. Often the golfer returns home with a bruised ego (and credit-card) and the non-golfer unimpressed with what was the limited entertainment and distractions of the golf clubhouse-spa resort environment. Fortunately just over an hour’s drive south of Sydney in the serene Southern Highlands there is a perfect compromise at Peppers Craigieburn, the friendly gracious hotel in the stylish Southern Highlands town of Bowral. For the golfers, here there is the chance to play for just $15 per person or if staying in the Hotel it is $15 for the day enjoying endless uncrowded relaxing rounds or simply just practising on an immaculately manicured private nine-hole (14 tee) par-66 course. Meanwhile the non-golfers can choose between relaxing in style on Craigieburn’s sunny verandas or in front of cosy fires in lounges enjoying Afternoon High-teas or visiting the myriad of cafes and classy shops just minutes away in Bowral’s CBD. For over 100 years the picturesque four-star Craigieburn has provided the perfect escape for couples of all ages, especially those who dabble at golf while enjoying the comforts of a traditionally grand, but comfortably modern hotel. Over the past few years Craigieburn’s renowned fashionable standing has been stylishly updated and enhanced, providing the accommodation benchmark for relaxed weekends not far away from Sydney. Under the stewardship of General Manager Robyn Bautovich, Peppers Craigieburn’s high-quality standards of hospitality, food and wine have been enhanced in several directions in the past two and half years and the heritage links of its almost 100 years-old golf course have been fostered. Since 2010 Peppers Craigieburn has hosted the popular Australian Golf Heritage Society’s Craigieburn Cup in which golfers play using 100-year-old wooden hickory-shafted clubs wearing turn-of-the-century golf fashions. To showcase and build on the growing interest of hickory golf, Bautovich fortunately has a key golf heritage ally in Alex Nicholson, a former champion amateur who played at a national level around scratch and in pennant teams at Royal Queensland and The Australian golf clubs. In Nicholson — at 85 still a top golfer who regularly beats his age and voluntarily coaches senior and junior beginners – Peppers Craigieburn has an expert golf adviser. 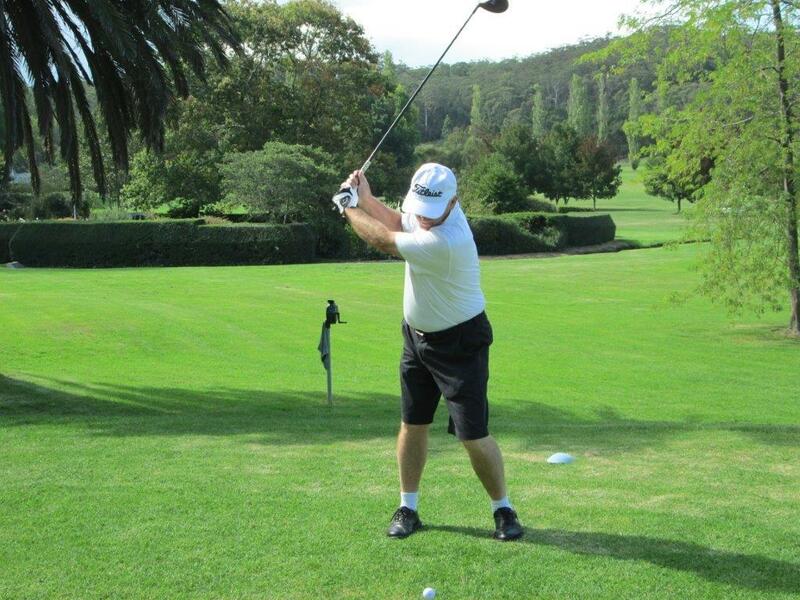 Nicholson is an accredited Golf Australia coach and three years ago, in co-operation with Craigieburn, started an Introduction to Golf program with students from the retirees University of the Third Age and since has brought more than 100 people out onto the course. And Peppers Craigieburn truly has a grass-roots golf and turf expert in Simon Lawrance, who not only is the course’s curator, but the reigning Craigieburn Cup hickory champion, shooting a five over par 71 to win in 2013. Lawrance, who learned his trade at the famous NSW Golf Club, has the gently sloping children-friendly course looking a picture with its adornment of old trees and light rough. The greens are small but super smooth and true. While only social golf is played at Peppers Craigieburn, Bautovich has organised for her golfer guests to be able to play at the private Bowral Golf Club — by way of a special stay-and-play package. Mindful of all guests’ culinary desires for an enjoyable weekend, Peppers Craigieburn now boasts one of the Southern Highlands’ most highly rated chefs to oversee its Montfort’s Dining Room, open for breakfast, lunch and dinner. Executive Chef Warrick Brook, who has been living and working in the Southern Highlands for 10 years, won three prized single regional Sydney Morning Herald Good Food Guide Chef’s Hats in 2004, 2005 and 2006 at the Lynwood Cafe. His other awards include the Illawarra & Southern Highlands Business Award for Best Restaurant 2010. For the serious stay-and-play golfer, the social golfer and any non-golfer gourmet companions Peppers Craigieburn provides a perfect weekend away. Situated on the relaxed side of Echuca Moama and nestled amongst picturesque fairways and luscious greens, Rich River Golf Club Resort invites you to experience their renowned Murray River destination. The 63-room motel complex is adjacent to the Clubhouse and is surrounded by their award-winning 36 hole golf course. Set amongst the manicured tranquil gardens which houses 2 outdoor pools, spa and BBQ areas, once here, you will never need to leave. Rich River provide a wide range of Clubhouse facilities including dining, coffee shop, sports bar, takeaway liquor, TAB & Keno, private function rooms, free live entertainment, weekly raffles and promotions to keep you entertained during your visit. Want to explore the historical Port of Echuca? The free courtesy bus is available on the hour for pick up and drop off around the Echuca Moama area. Rich River Golf Club Resort offers dining options to suit all tastes and budgets with specials available every night of the week. Their Executive Chef and his talented team provide a wide selection of taste sensations expertly prepared onsite for your enjoyment. Experience their Coffee Shop, Sports Bar, Spike Bar or James Maiden Bistro. 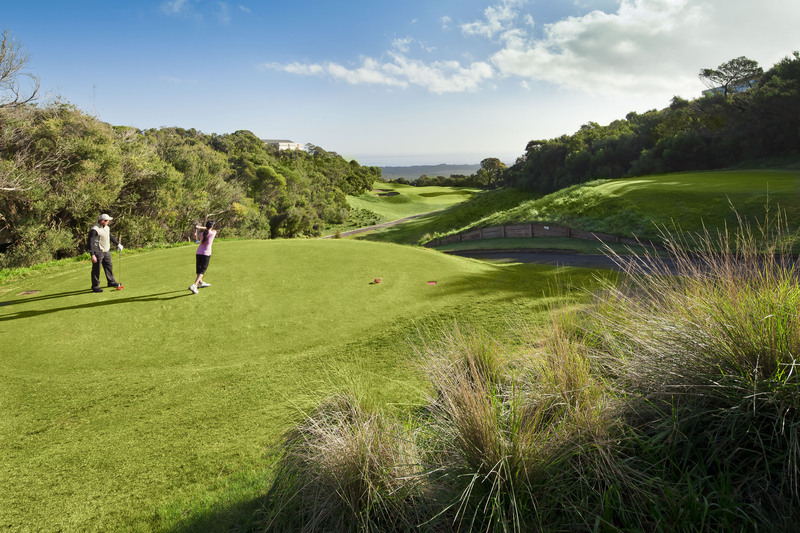 Rich River Golf Club Resort boasts an abundance of sporting facilities including a 36-hole Championship Golf Course, Bowling Greens, Croquet Courts, Tennis Courts and a new 17 bay Driving Range. The driving range offers an efficient and affordable way to practice your golf swing in a relaxed and friendly environment. Want to stay & play? The team can tailor any specific sporting package to suit your needs. The Pro Shop stocks an exciting range of golfing equipment, apparel, accessories and souvenirs, while their qualified and experienced Pro Shop ream offer a personalised club fitting service to ensure your new clubs are perfect for you and your budget. They also offer a professional golf club repair service, coaching lessons and equipment hire. Rich River Golf Club Resort provides the perfect escape to suit a day trip, weekend or extended holiday. Nelson Bay Golf Club is one of the Hunter Valley’s most popular courses. 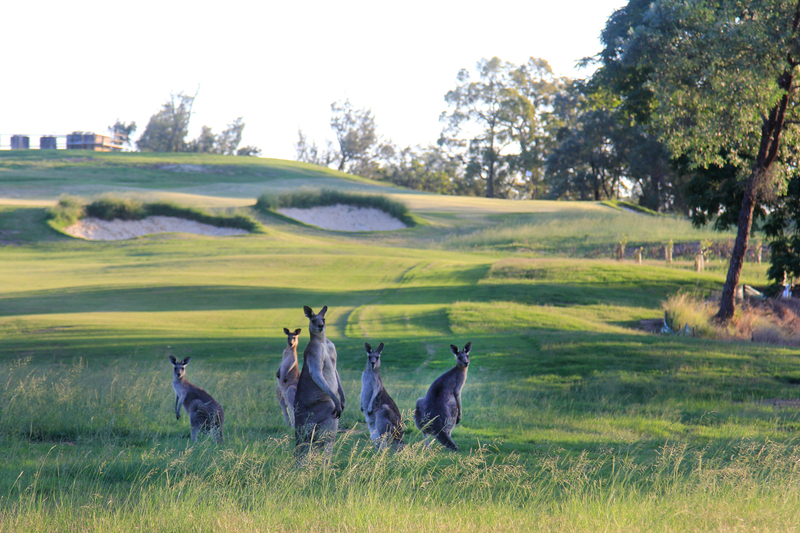 The 27-hole championship course is set among native trees with an abundance of wildlife like kangaroos, wallabies, koalas and native birds. Originally an 18-hole course, the facility proved so popular with tourists and locals alike that a further 9 holes were added in the adjoining bushland in 1998, resulting in a spectacular facility that features some truly magnificent holes. One of the standout holes would surely be the 490-metre par-5 12th , a tight, bushland-bordered bender that makes its way up a long hill. Accuracy is key here, as the elevated green is hidden until your third shot, so pick your landing zones carefully. The clubhouse at Nelson Bay is relatively new, and boasts spectacular views and an al fresco dining area – perfect for a relaxing end to a fun day on the course. No matter what the occasion, Nelson Bay Golf Club can customise a package to suit, from Ultimate packages to the budget-conscious. And the friendly and professional staff will ensure that you and your guests have a memorable time during your stay. The 27-hole Nelson Bay Golf Course is located right next door. The highly-regarded Pacific Dunes Golf Course is located an easy 20 minute drive from the Resort with a James Wilcher-designed layout that combines two distinct nine-hole loops to create a spectacular 18-hole course. The Landmark Nelson Bay have golfing packages to suit your every need or you can ask the friendly staff to tailor-make something to suit. Riverside Oaks Resort is set amongst 570 acres of pristine Australian bushland overlooking the magnificent Hawkesbury River. River, promising an exceptional challenge for even the most seasoned and skilful golfers. The resort looks forward to welcoming you to experience the first 9 holes of the Bungool course this month, and again when they open the entire course later this year. The existing course now being renamed “Gangurru” will also be enjoying a new lease on life with a complete refurbishment of its bunkers being undertaken this winter. Riverside is known for its golf but the whole family will feel at home with the resort, enjoy one of their stunning villas as the family explores the amazing sites and surrounds the Hawkesbury has to offer, or enjoy the tranquil quiet curled up with a good book. Take time out to discover the club house cafe, with the best yet to come. The resort will be opening their signature “Bungool” restaurant, together with 36 stunning new lodge rooms. This, together with their professional and friendly service Riverside Oaks promises a memorable experience for golfers, families, couples and groups. Worrigee Links has proven a real hit with locals and tourists alike since opening for play in 2005. 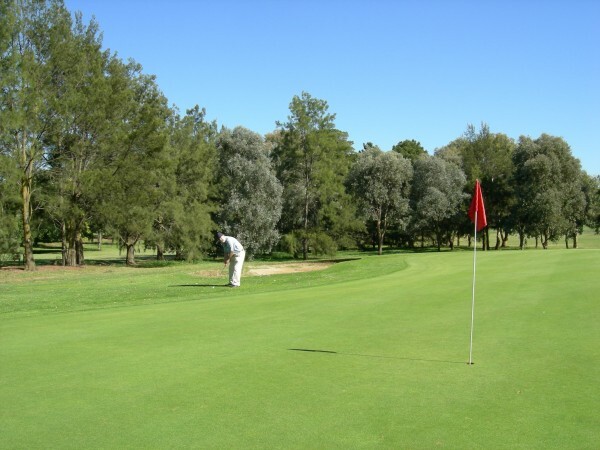 A par-70 links style layout, Worrigee Links is attached to the Shoalhaven Ex-Servicemen’s Sport’s Club and offers not only a great golfing experience but a relaxed and friendly clubhouse atmosphere as well. With sweeping views of the Coolangatta and Cambewarra mountains from the course and a challenging yet fair layout, Worrigee Links has something for everyone. Stay and play packages are available which includes accommodation and 18 holes of golf at Worrigee Links Golf Course. 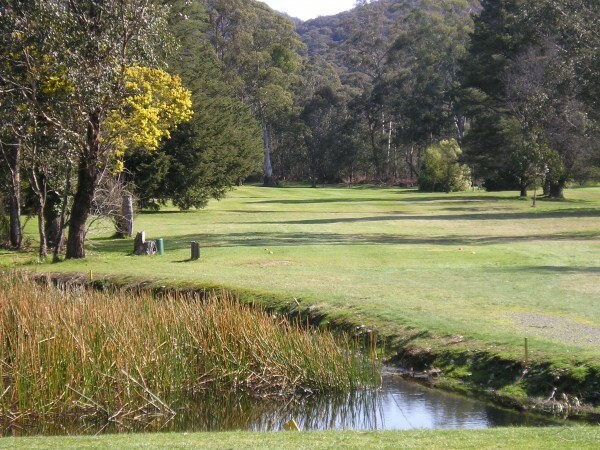 Yowani Country Club is one of Canberra’s leading Golf and Bowl’s clubs. The 6300 metre, par 72 (ACR 73) Yowani Golf Course is regarded as one of Australia’s finest inland courses, reflecting over 50 years of careful development. The highly rated championship course was designed by James Herd Scott in 1954, with several holes redesigned by Cooper Nagle and Associates in 1978. The course is an excellent test for golfers of all abilities on gently undulating, tight, tree-lined fairways with two picturesque lakes. The inward nine is acknowledged as one of the finest back nines of any course in Australia. It is no coincidence the course’s signature holes are found tucked away in this fine test of golf. It is a golf course that guarantees something special to all players. Competitions are available every day and Social play is limited to outside Competition times. Inside the Clubhouse, Yowani offers an excellent Restaurant, Bar and Function facilities. Yowani Country Club has 24 semi-contained motel units which makes this fantastic club the perfect getaway for your next golf adventure. Contact the Club on 02 62413377 for enquiries or to get your golf holiday in the nation’s Capital underway. Or visit www.yowani.com.au. For seventy eight years an integral part of the township of Marysville has been the golf course and when reading the history of the course in club member Liz Amos’s book ‘Marysville Community Golf and Bowls Club Inc. Before and after Black Saturday February 2009, it becomes obvious that the club has been very dependent on the hard work of community members for the development and the ongoing up-keep of the 18 hole course. Whilst the course was extensively damaged during the 2009 Black Saturday bushfires yet again the local community, with considerable help from the green keeping staff, volunteers and the wider Victorian and Australian Community, has returned it to its former glory. Nestled in a fertile valley of the Great Dividing Range this is one of Victoria’s most picturesque courses. Set in a natural amphitheatre it is surrounded by mountains and the course has been designed to embrace the countryside and the Steavenson River which meanders through it. Whilst the course has recovered very well from the fire damage the number of green fee players has diminished partly because until now accommodation in the town has been limited. There are now a number of accommodation options available in the town and Triangle area ranging from caravan parks, self- contained accommodation, B&B’s, motels and the new Vibe Hotel & Conference Centre which will be opening in late 2014. Stay & Play packages are also available through the golf club. In fact, the Marysville community would love to show visitors how far they have come in their recovery and what a beautiful part of the world it is! The clubhouse has been refurbished with the generous donation of funds from the Victorian Government and also significant benefactors. It offers new clubrooms, a bistro/function room with floor to ceiling windows overlooking the magnificent course, a spectacular outdoor deck area, a bar, and a golf shop/kiosk. Carts are available for hire as are clubs and pull buggies. The course is situated in Marysville about 1 hours drive from Lilydale in the Eastern Suburbs of Melbourne and close to Healesville, Alexandra and Yea. The newly laid carpet bowling green is adjacent to the golf course and bowls are available for hire seven days a week. St Andrews Beach Golf Course on the Mornington Peninsula is quickly becoming one of Australia’s most talked about courses, and the release of new on-site accommodation is certain to be popular with travelling golfers. St Andrews Beach Apartments offer modern, two-bedroom villas fully furnished with contemporary fittings with guests even able to enjoy exclusive access to their own private short game facility. The open plan design flows out to a spacious decking area complete with outdoor furniture and hooded barbeque ideal for golf getaways. Each bedroom features built-in wardrobes and the master bedroom also includes an ensuite complementing the main bathroom. With an abundance of nearby attractions including world class wineries, superb restaurants, Hot Springs and spectacular coastline, the Mornington Peninsula is a perfect destination not just for keen golfers, but romantic getaways, family retreats or a weekend away with friends. Nestled amongst the coastal dunes, and metres from the spectacular 13th Beach on Victoria’s renowned Surf Coast, the highly ranked Barwon Heads links course has been providing an enjoyable challenge for all golfers since the early 1900’s. Now, after significant improvements to the course, facilities and clubhouse, this club is a ‘must golf’ destination. 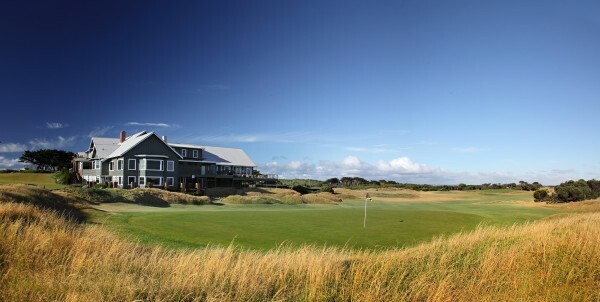 Since its creation over a century ago, the Barwon Heads Golf Club has been considered among the finest in the country. The course planning over this time has resisted change for the sake of change. Rather, it has sought to preserve the brilliant natural contours of the landscape that shape the holes amid the sand dunes. This is one of the most alluring features of the course. Relatively new to the course is a top class short game practice facility. It features various angles of greens, aprons and bunkers, replicating the natural contours found on the course. It’s the perfect place to warm up, practice or take a short game lesson. Bordering the practice facility is the redeveloped Par-3 course and resurfaced tennis courts. The clubhouse has also seen significant improvement. Visitors to Barwon Heads will be familiar with the Barwon Heads Golf Club and its iconic clubhouse. Many, however, will be unaware of the accommodation provided within. In fact, the golf club has provided accommodation since the clubhouse was opened in 1924. Back then it was described as Australia’s first country club on the nation’s first links course and the prestigious, members-only clubhouse opened to a great deal of fanfare. This was despite the fact the original twenty bedrooms shared two bathrooms and only four showers. However, as a result of renovations and improvements made over the years, the Heritage Victoria listed clubhouse now has 19 rooms, all with their own ensuite. After a recent refurbishment all rooms are modern with elegant furnishings. It is not only members who will benefit from the refurbishment. Non-members who are green-fee paying individuals, couples or groups can stay in the newly refurbished rooms on a bed-and-breakfast or full board ‘stay-and-play’ package. 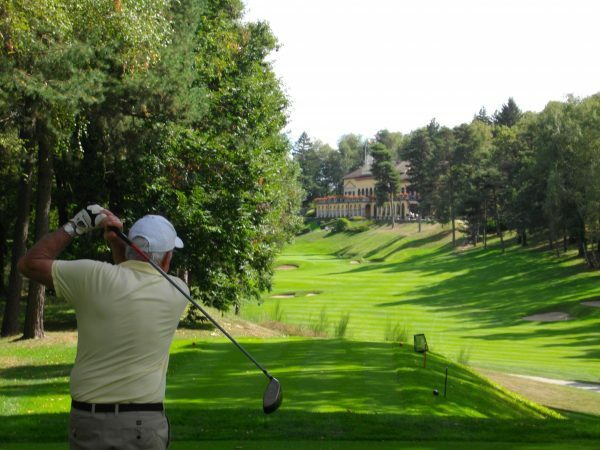 The packages are particularly popular with small groups who return to play golf year after year. These golfers comment on the level of accomplished service they receive in the clubhouse and the ambience of the surrounds. The magnificent clubhouse is famed for its old-world charm. With stunning architecture and captivating views, it is a clubhouse designed for all seasons. House guests can enjoy the expansive balconies in summer or warm themselves after a Scottish links-like experience before the luxurious open fires during the cooler months. The club extends a warm welcome to golfers to stay in the house and experience all that the wonderful club has to offer, including over 100 years of golfing history. Located at the southern tip of the Mornington Peninsula with majestic views over Bass Strait, RACV Cape Schanck Resort, is perfectly positioned for a weekend getaway or longer. The Robert Trent Jones Jnr-designed 18- hole golf course is continually ranked in Australia’s top 100 public courses, and features huge greens, open bunkers, tree lined fairways and spectacular ocean views on eleven holes. The resort provides a wide range of accommodation options. There are 48 contemporary Ocean View and Premium Ocean View rooms providing breathtaking views over Bass Strait, along with a further 4 two-bedroom Premium executive Suites. There are also 11 stylish two- and three-bedroom Villas nestled amongst the golf course, providing private and self-contained accommodation for families and groups. The Restaurant, with panoramic views of the golf course, is open seven days a week for breakfast, lunch and dinner. A seasonal a la carte menu showcases the fresh regional produce. Chef Andreas Koker, who has travelled the world refining his culinary skills, believes “food must be fresh, clean and taste as good as it looks” and he’s true to his word. The wine and beer lists are impressive, with 14 local wineries represented. If you want to grab a quick cafe-style meal or a drink after a round, the Golfers Lounge is the place to go. There’s also plenty to do onsite, with a recreation room, tennis courts, gym, horizon edge heated pool, sauna and a spa. So when you need a few days’ break, book yourself into RACV Cape Schanck Resort. From there, you’ll be able to savour the fabulous Mornington Peninsula. Perched within the backdrop of the Torquay and Jan Juc beaches, the resort is set on an expansive golf course with spectacular ocean views and beach access. Opened in June 2013, the resort is an architectural delight, featuring rammed earth walls and gentle curves that mirror that of the landscape. Featuring 92 ocean or golf course view rooms and suites, day spa with Turkish Hammam bathing area and a full Restaurant, Bistro and bar, the resort has everything for your quick getaway or golfing adventure. For the non-golfers in your group, there are two multipurpose flood-lit tennis courts, a 25m heated indoor pool, gym, spa and sauna. There is even a children’s playground and jumping pillow for the kids. The fully-irrigated 18-hole par-71 golf course is a true test of golf, and features wide-open couch fairways, undulating greens, fescue rough, wetlands and ocean views. 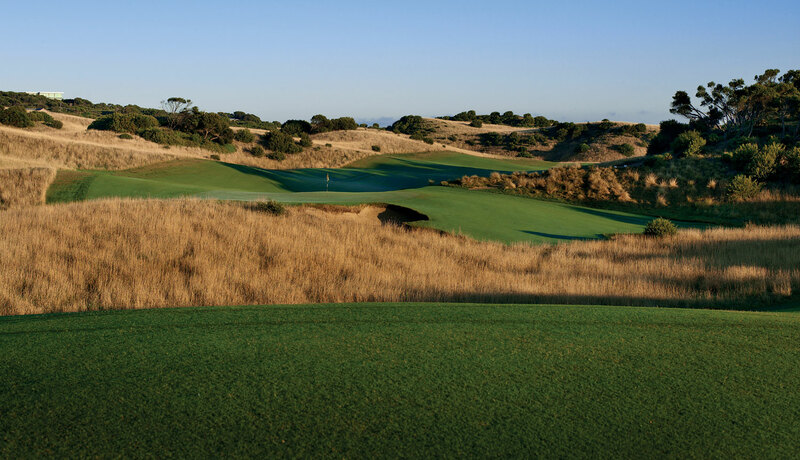 This traditional links-style golf course has recently been extensively redeveloped by Ogilvy Clayton, a Melbourne design team headed by former US Open champion Geoff Ogilvy and Mike Clayton, winner of multiple Australian and overseas tournaments. The course is suitable for all levels, and there’s a new practice area including practice bunkers. Hire equipment is available including a brand-new fleet of electric carts. Neat dress code is required and bookings essential. Following your round, relax with a postgame drink on the terrace of the new Sports Lounge – White’s Paddock, or just enjoy some of the other amenities that this spectacular resort has to offer. 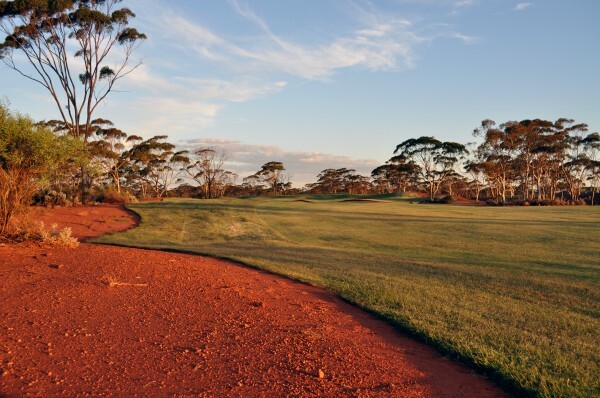 Kalgoorlie Golf Course is an absolute gem, and may very well be one of the most “Australian” courses you will ever play. Designed by Graham Marsh, and owned by the city of Kalgoorlie-Boulder, this 18-hole par-72 championship course features an extremely playable layout, set in one of the most magnificent settings in the country. With six different tee boxes, Kalgoorlie is playable for any–and I mean ANY–skill level. Played from the black tees, the course measures a staggering 6768m, making it one of the longest courses in Australia. The “public” tees are a more manageable 5933m, while other tees are available for members, ladies and even juniors. The par-5s are equally strong. All four of them are solid three-shotters, including the monstrous 15th. Nicknamed the “Golden Mile”, this 569m beauty features a blind second shot, a massive ravine along the right, bunkers at every turn and a very treacherous green. A par here feels like a birdie. With a course of this calibre on offer, Kalgoorlie is a fantastic destination for a quick golfing holiday, corporate event or even an annual Social Golf Weekend, as it offers world-class golf, comfortable accommodation, and a unique “frontier town” nightlife scene. After golf, enjoy a tasty dinner or grab a few beers and mingle with the locals at one of the historic pubs, or kick back in your room at one of the many local hotels and dream about the next day’s round at Kalgoorlie GC. All in all, Kalgoorlie Golf Course is an amazing facility with a setting that is second to none. We are confident that this course will one day find itself listed among Australia’s top rated courses. You’ve likely heard of Joondalup, as it regularly features near the top of many of the regular golf course rankings. In truth, this is one spectacular facility, and is less than 30 minutes’ drive from Perth. 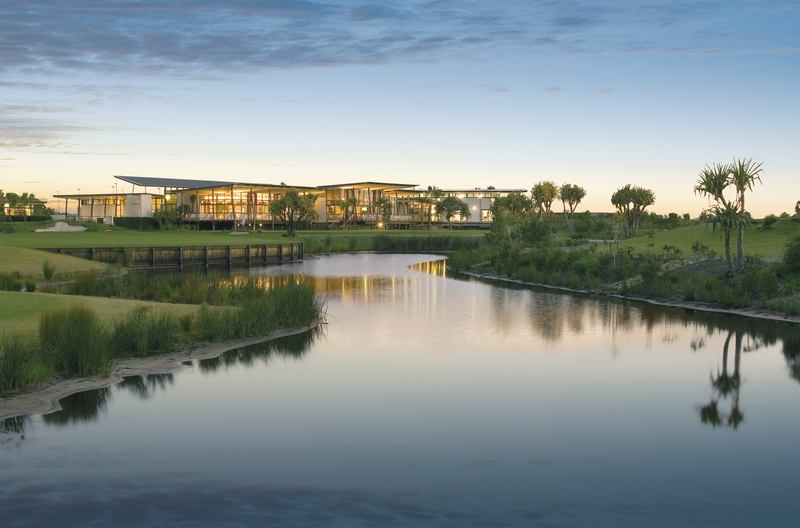 With three 9-hole layouts – The Dune, The Quarry and The Lake – Joondalup offers something for golfers of all levels. The Quarry 9 is the most spectacular of the layouts, as it wends its way around steep limestone quarries and deep, menacing valleys. It is certainly the star of the facility – and a definite must-play layout. 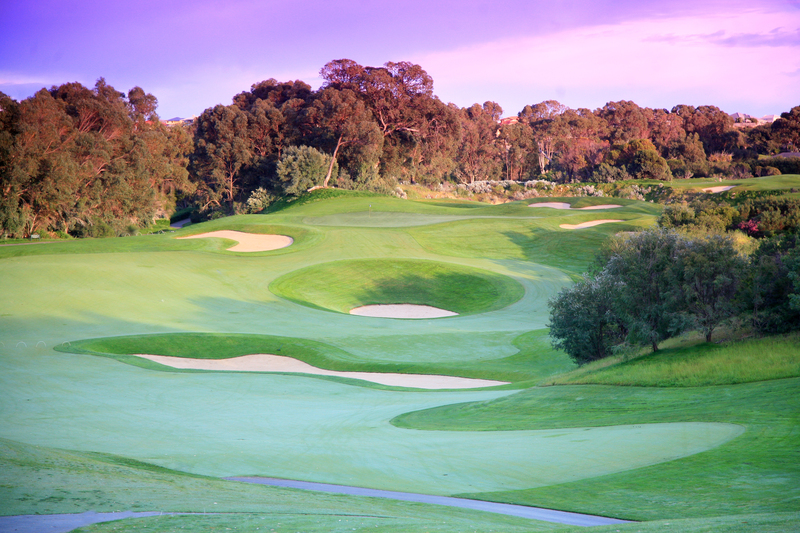 It’s hard to name just one standout hole at Joondalup – as there are many breathtaking (and jaw-dropping) choices. But you simply can’t go past the Quarry’s 3rd and 4th holes. Though only 136m from the back tees, the Quarry 3rd is one of the more intimidating holes in Australia, as hitting the green requires a forced carry over a “valley of death” in the front and right. If you do miss the green right, there is a steep path down to the bunker below (though this is not a recommended approach option!) After navigating this tricky par-3, you then must tackle the challenging par-5 4th, a double dog-leg uphill monster which wends its way around a large limestone cliff that protects an elevated green. A par on this hole almost feels like an eagle. 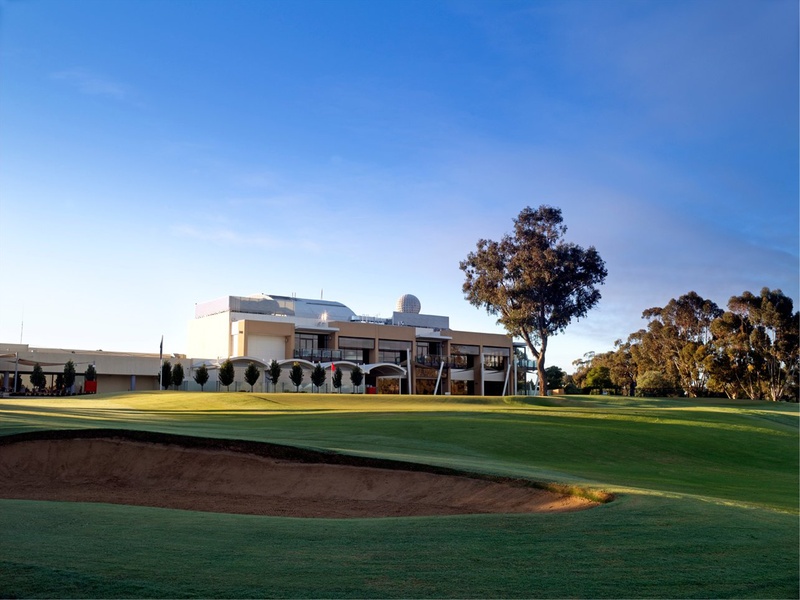 From tee to green, Joondalup is one of our favourite courses in WA. The perfectly manicured fairways, the soft and true greens, the tremendous staff and the breathtaking scenery all combined for a 5-star experience. With your round finished, be sure to make your way to the fantastic on-site resort for some post-round drinks and dinner at Bistro 38, where you can enjoy the view over the lagoon style pool and out over the golf course. Complete the experience of this remarkable facility with a relaxing stay in one of 70 beautiful rooms and suites, seven function rooms including the stunning Lakeview Ballroom with views over the fairways (new in 2014), an outdoor lagoon style pool and heated spa, tennis courts, mini gymnasium, massage and beauty treatments, a cafe, restaurant, and cocktail lounge. In short – it is a perfect location for a golf getaway for groups of any sizes. To make it even better, Inside Golf readers can take advantage of their special Stay & Play offer (see advertisement on this month’s cover). More information: (08) 9400 8888, info@joondalupresort.com.au, www.joondalupresort.com.au. Over the past ten years, golf tours have become big business with the game being at its highest point ever in terms of spectators and participants. You can now arrange a golf tour in every part of the world, although some companies do it with style, panache and innovation. Executive Golf Tours, run and owned by Australians, is one such company that breaks the mold, bringing a much-need element of luxury and 5-star services to the affray. Chon Buri Thailand is one of Southeast Asia’s premier holiday destinations, its known for its all-year-round sun-drenched climate, and most importantly, one of the vastest selections of quality golf courses on the continent boasting 16 professional golf courses in the region, and has been voted as the number 1 golf holiday destination in the Asia/Pacific by the IAGTO, Executive Golf Tours is solely based in Chon Buri, and although there are large amounts of golf agents in the region, nobody else takes the same approach to golf tours. Ever wanted a Ferrari to pick you up at the airport and sweep you away to a 5-star villa rental with its own service staff, swimming pool, a chauffeur on 24-hour call, personal chef, in-house massage therapists and with all your golf at some of Thailand’s finest golf clubs such as Siam Country Club and Laem Chabang International Country Club? The company is run by Australians who know what you want and will pull out all the stops. 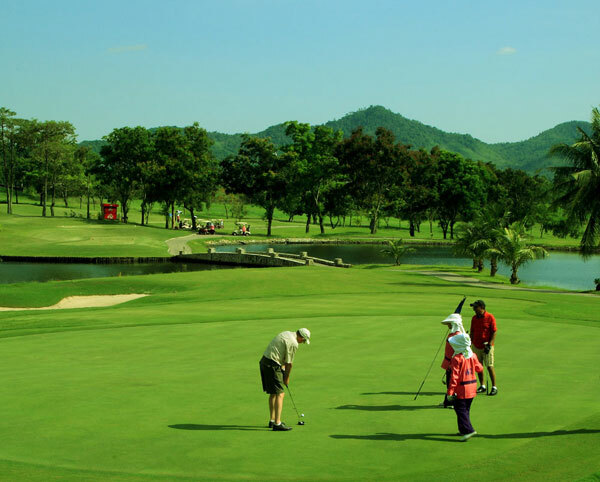 We know you work hard and deserve to have the time of your life while in Thailand, so their goal is to ensure that your 5-star executive golf holiday desires come true, and all of this for as little as $350 per day per person (excluding flights). With the ten best golf courses in the Chon Buri region available to you and all the luxurious services imaginable, this will be a golf tour that surpasses anything currently on the market. The selection of hand-picked 5-star pool villas courtesy of Thailand’s largest villa rental provider, ooze style, perfect for the luxury lifestyles of today’s high-flyers. But the best bit is that the golf tours are extremely affordable and not out of the price range of those seeking out a once-in-a-lifetime golf holiday experience that culminates in memories that last forever. Whilst renowned for its spectacular scenery and gastronomic delights, Italy also happens to host some of the world’s most captivating golf courses. Travelrite International’s Italian Golf Tour, hosted by Australian PGA Professional (and ex-Italian local) Robert Stock, explores the hidden jewels in Italy’s golfing crown. And it’ll give your epicurean tastebuds a good tickle too. Here is just a taste of what’s on offer for those joining Robert on his Italy Golf Tour in September. Experience the unique Tuscan splendour of il golf di Ugolino, just outside Firenze. Officially recognised as one of fifty golf courses to play before you die, the course rolls out through olive groves, vineyards and orchards. Enjoy a post-game Chianti and tortellini in brodo in the centro storico of Florence. Next, explore Golf Club Castelfalfi, a 27 hole golf course set slightly off the tourist track amidst 1100 hectares of beautiful countryside between Pisa and Florence. The estate, set around the borgo and castello (town and castle), dates back 2500 years to Etruscan times. You will also experience a unique and magical stop in Venice, where you can enjoy your pre-game espresso in Circolo golf Venezia’s original 1820’s clubhouse and tee off on the surrounding 17th century ramparts. Venice has been awarded the 2013 Undiscovered Golf Destination of the Year by the IAGTO. For more information about Travelrite International’s Italy Golf Tour, which runs from 31 August-18 September 2014, call Travelrite International on 1800 033 436 or email heathmont@travelrite.com.au. Pro Golf Experiences provides amateur golfers with the opportunity to experience what it is like to play on tour. Their golf holiday packages offer the ultimate golfing travel experience, and are perfect any golfer who loves both tropical paradise holidays and golf. Hosted and run by PGA Professional Aaron Cox, these unique all-inclusive holiday events feature quality accommodation at resorts and hotels, entry into a professional event and even a golf clinic. The holidays give you the chance to take your place in an overseas Tour event, while enjoying a fun and sociable experience. One upcoming event that may take your fancy is The Tusker Vanuatu Open (31 August to 10 September). This four-day (men) and three-day (ladies) event features a stableford format for B and C grade players, while A grade players and Professionals compete on Stroke. After you touch down in Vanuatu on Sunday and arrive at the fabulous Mangoes Resort it’s time to relax, unpack and to start winding down. Tuesday night is the official Cocktail Launch Party for the event, held at the majestic Holiday Inn. On Wednesday, enjoy the Pro-Am, where all the amateurs get to play a relaxing game in a fun four-ball team event. The fun continues after the Pro-Am with a BBQ dinner and presentation. Thursday, the official first round of the Tusker Vanuatu Open. Following your first round enjoy a Beach BBQ at Holiday Inn sampling the very best cuisine Vanuatu offers. Friday begins Round 2, the nerves of day one have gone and now it’s time to get into full swing. Friday evening heralds the annual Vanuatu Open Calcutta. Get ready to bid as the Professionals are placed in teams of 4-5 and auctioned off. Bid on the team you think will win for your chance to take home hundreds of thousands of Vatu (the local currency). Saturday is the Final Round of Ladies Open and the Third Round of the Men’s. The ladies will tee off in the morning field. By midday the ladies are refreshed and seated for the presentation lunch. The champagne flows all afternoon and the ladies celebration can be heard across the fairways. Meanwhile, the men are making their move on the course in the third round. 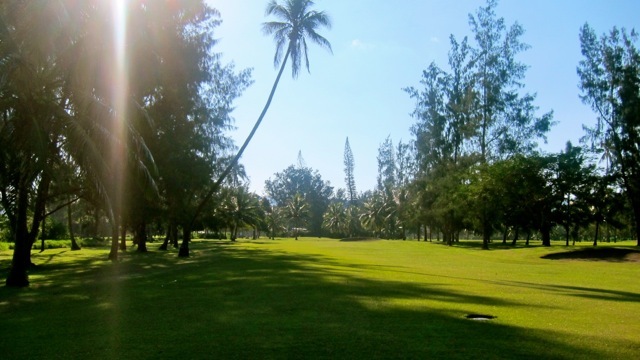 Saturday evening provides amateurs with a night to relax and clear their head in preparation for their final assault on the Port Vila Golf and Country Club. For the ladies, Sunday is the perfect opportunity to follow their favourite professionals, walking alongside as they play their final round. The atmosphere around the 18th green is magnificent with all the men and ladies and indeed the locals watching each group complete the tournament with excitement. The Package includes: 10 nights’ accommodation at Mangoes Resort or The Terraces, Breakfast daily at the Resort, Entry into the Tusker Vanuatu Open, Return Airfares from Brisbane to Port Vila, Transfers to the Golf Course on event days, Welcome Dinner and functions, Golf Clinic with PGA Professional Aaron Cox, Presentation Evening, golf shirt from Pro Golf Experiences, Airport transfers to and from Mangoes Resort/The Terraces. Bookings close 20 June 2014 unless sold out prior. Only $4,599 per person (Mangoes Resort) or $5,299 per person (The Terraces). For bookings and enquiries contact info@progolfexperiences.com.au or use the booking form available at www.progolfexperiences.com.au. * NB: Prices based on twin share accommodation, subject to availability. Limited bookings available.